Register HERE for software update notifications via Email. At times we have sample products, display products, damaged in transit products or end of line products that we want to make available for a better price. We have our technical support team test these products, check that the carton contains all the necessary cables and booklets, replace any needed parts - and then we make them available under the Buy Refurbished link on the product page. We will only sell these products if they are in a "like new" condition. That means that at the most they may have some damage on the cardboard carton, or perhaps a mark on the case of the unit that is not on the front panel. However in most situations they will actually look totally brand new, it is just that they were used for a display unit or sample product and so we won't sell them as brand new. What is the warranty on a Refurbished Product? We offer the same 12 month warranty on our refurbished products. The only thing we don't cover in the warranty is the fact that there may be some slight mark on the product. However the reduced price easily compensates for this. Should I buy new or refurbished? If you only like brand new products - just buy brand new. If you are not worried about a mark on the back of your product, but would rather save dollars - buy refurbished. You still have the same warranty as those who buy brand new, but you paid less. The T2200 is a MyFreeviewPlus Certified Terrestrial Recorder. With built in WiFi and internal 1 TB Hard Drive, this dual tuner receiver allows you to record programs to watch later. 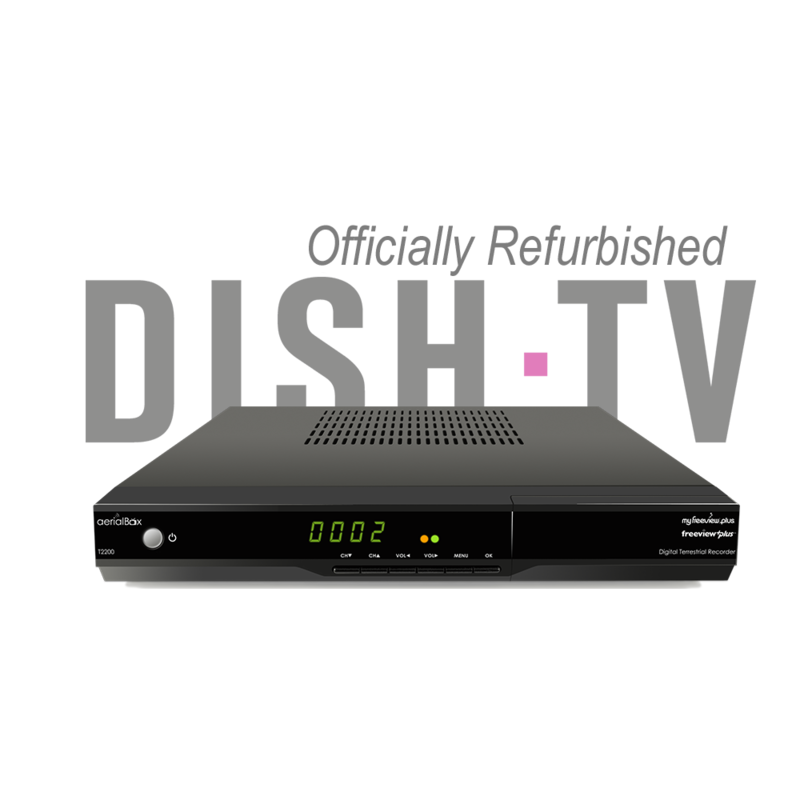 Record two channels while watching a third, or record a program while watching On Demand. It's a whole new way to enjoy TV and control what you watch. PLEASE NOTE, this is a Terrestrial Receiver and it requires a UHF Aerial. *Recording - Channel selection is limited when recording two channels, some combinations may not be available. **On Demand - Requires broadband access through a service provider. MyFreeviewPlus™ is a metered service, and usage will count towards the data limit of your broadband plan.